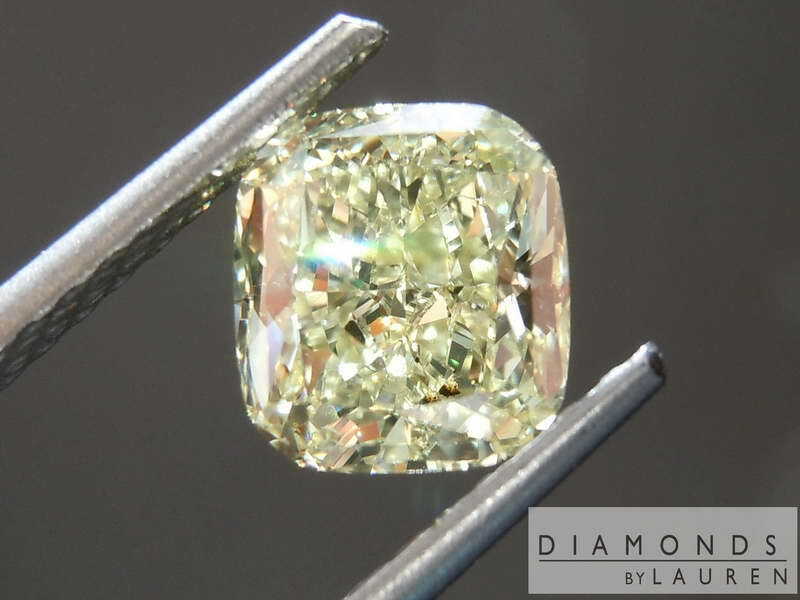 When I first saw the stone, I thought for sure it was a “regular“ fancy yellow diamond. 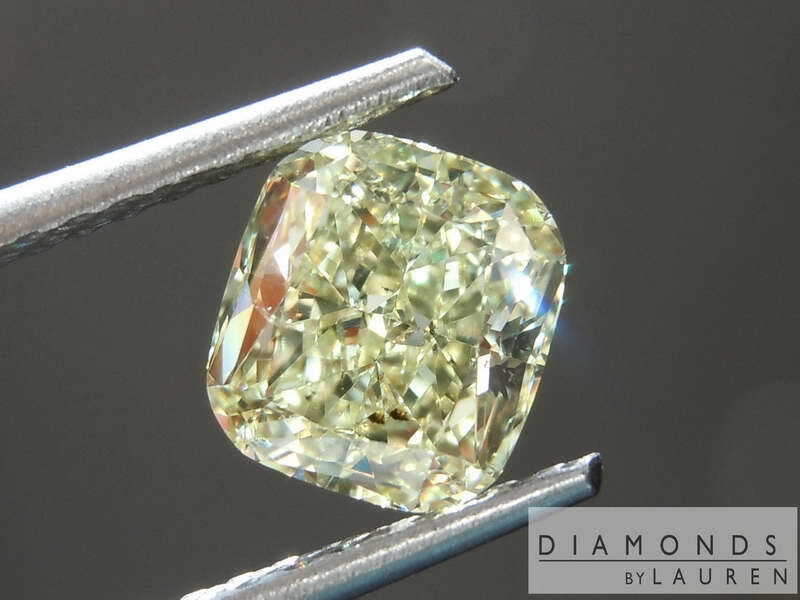 At first glance… and even upon closer inspection – the stone really does look yellow. My cutter buddy was smiling from ear to ear as I was eyeing the diamond. Why? I asked You’re never going to believe the price, he told me. Wow. What’s wrong with it? 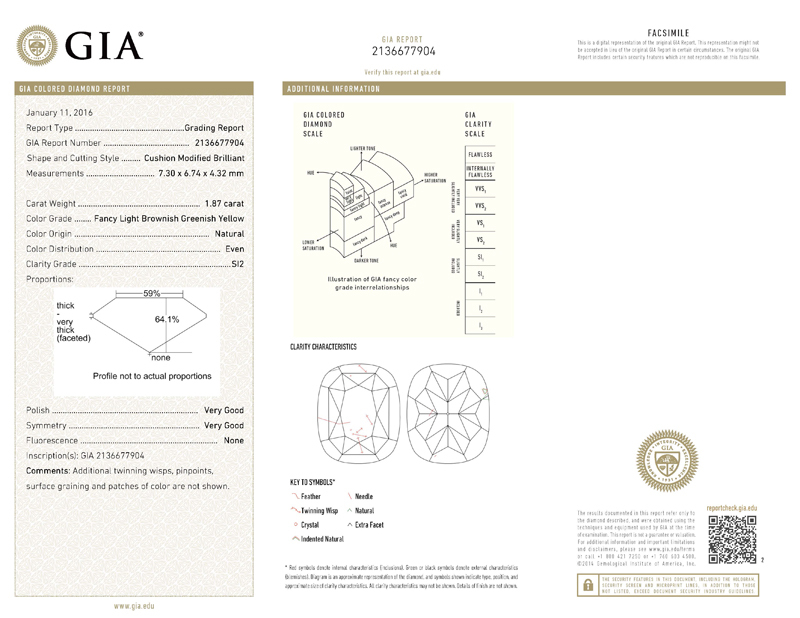 Nothing – but GIA gave it a wacky grade. “Fancy Light Brownish Greenish Yellow” and, it’s an SI2. About that clarity grade. 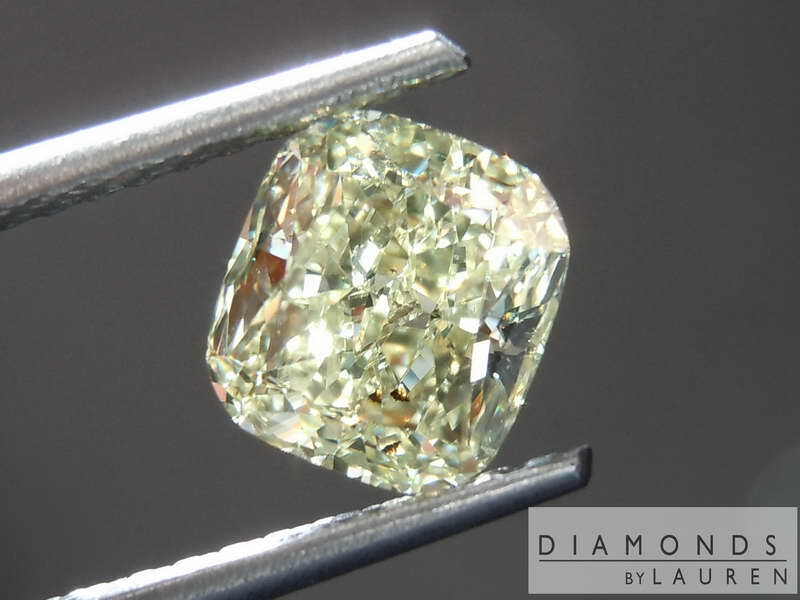 This is a super cool Diamond. 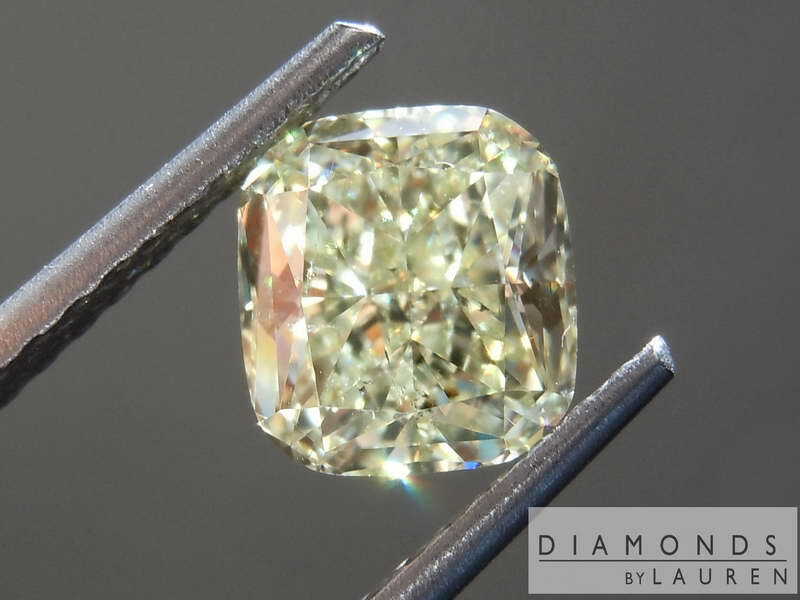 In rare occasions, diamonds can actually contain tiny bits of other minerals. In this case, I believe it to be Garnet. There’s a tiny area of what I believe to be garnet at the girdle, and it reflects into the diamond. You can see it in the lower right-hand quadrant of the table. In person, I do not believe human eyes would be able to make it out. Remember, the stone is beautifully cut, so it sparkles quite a lot. 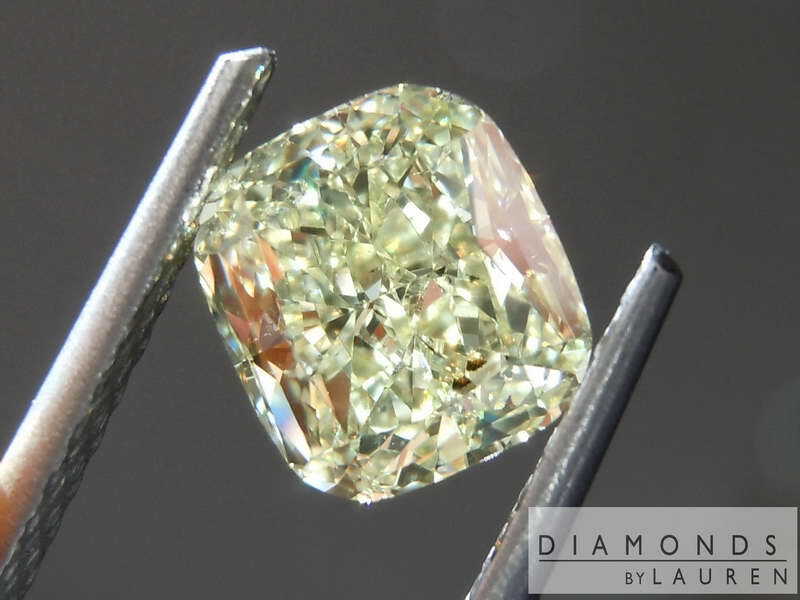 A still photograph, taken in macro mode, enables us to see the diamond more closely than human eye. In fact, it is a tiny area. The clarity grade is based not only on that little tiny bit of schmutz, or Garnet, whatever. There’s also an invisible feather ( all right, very hard to find with a loupe) on the table and a few carbon points within the diamond. 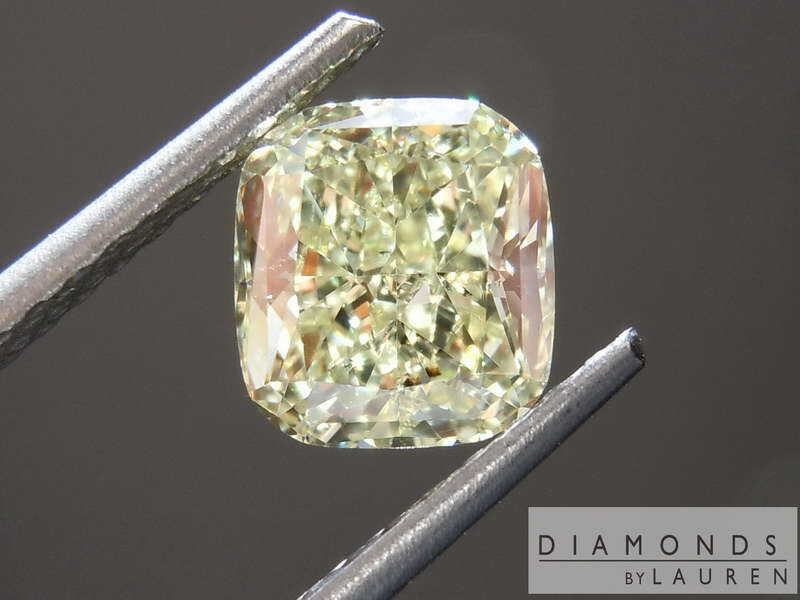 This adds up to a beautiful diamond which is the least expensive stone of this size on our site- by quite a margin too. Yet the stone looks amazing. This is a great deal for someone looking for a larger fancy yellow but on a strict budget. Of course, we'll be delighted to set it for you.